The Snowshoe Thompson Classic was held Sunday, Dec. 31. The Truckee-Tahoe area’s final ski race of 2017 was held at Auburn Ski Club on Sunday, Dec. 31, as 78 skiers hit the snow for one of the west’s oldest Nordic races. 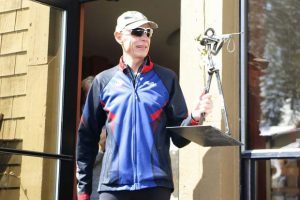 The annual Snowshoe Thompson Classic has been held since 1946, according to Auburn Ski Club Executive Director Bill Clark, and while a lack of snow to start the season may have kept some racers at home, many of the area’s best cross-country skiers still showed up to compete. This year, a new champion would be crowned in the 10-Kilometer Classic. Shane Christian managed to outduel a 30-skier field during four laps of racing to capture the overall title with a time of 28 minutes, 46.10 seconds. Wyatt Fereday finished next with a time of 29:31.80, followed by Phillip Violett in third with a time of 30:53.20. 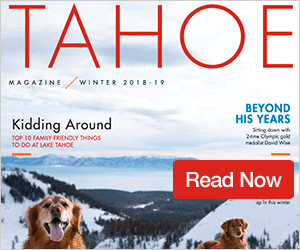 Truckee’s Abby Baier finished with the fastest time of any female racer at 39:24.80; while North Tahoe’s Max Roske finished with a time of 34:14.40 for the fastest time of any of the 18-and-under age group competitors. Racing also included two laps around the course for the 5-Kilometer Classic. 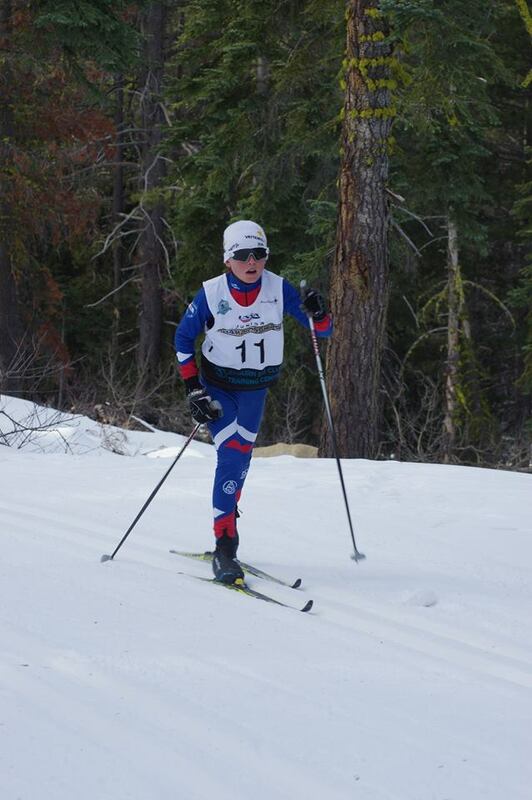 Sugar Bowl Academy team member, Bjorn Halvorsen, skied to his second first-place finish of the Far West Nordic 2017-18 season, finishing with a time of 15:12.30. Eleanore Hamilton finished next for first place out of the women’s division and second overall with a time of 17:00.80. Koson Verkler (17:41.00) was next, followed by Matt Seline (17:56.00), and Kili Lehmkuhl (17:57.40). In the youngster’s divisions, 26 racers signed up to compete in either the 2-Kilometer Classic or the shorter, Stadium Distance Classic. Sven Halvorsen defended his win in last year’s 2-kilometer distance, with another first-place finish with a time of 8:32.20; while Charlie Derrick proved to be the fastest of the girls with a time of 9:11.30 for second overall. Noah McMahan (9:35.80) was next, followed by Lainey Lowden (9:39.30). Chasyn Halvorsen took first in the stadium classic with a time of 3:03.10, and was followed by Emma Dans with the fastest of the times for the girls at 3:45.50. The next race of the season, the Lakes Basin Freestyle, has been canceled according to information from the club. Skiers will have to wait for the 11th annual Tahoe Rim Tour & Race on Sunday, Jan. 28, for their next chance to compete. The race will be held at North Tahoe High School, and will finish 26 kilometers later at Northstar California Resort. For more information, visit FarWestNordic.org. 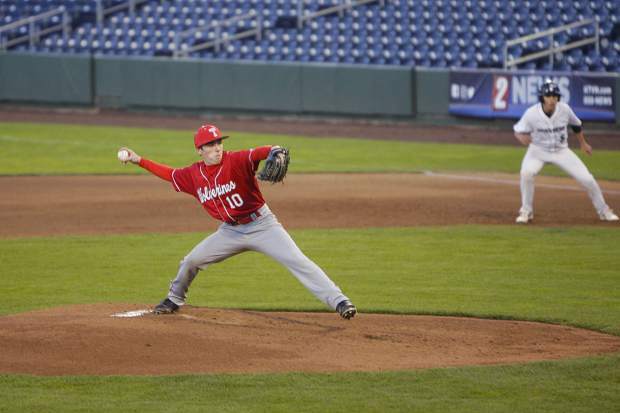 The California Nevada Interscholastic Ski and Snowboard Federation Nordic season will continue on Friday, Jan. 12 with the Kirkwood Relays Freestyle.